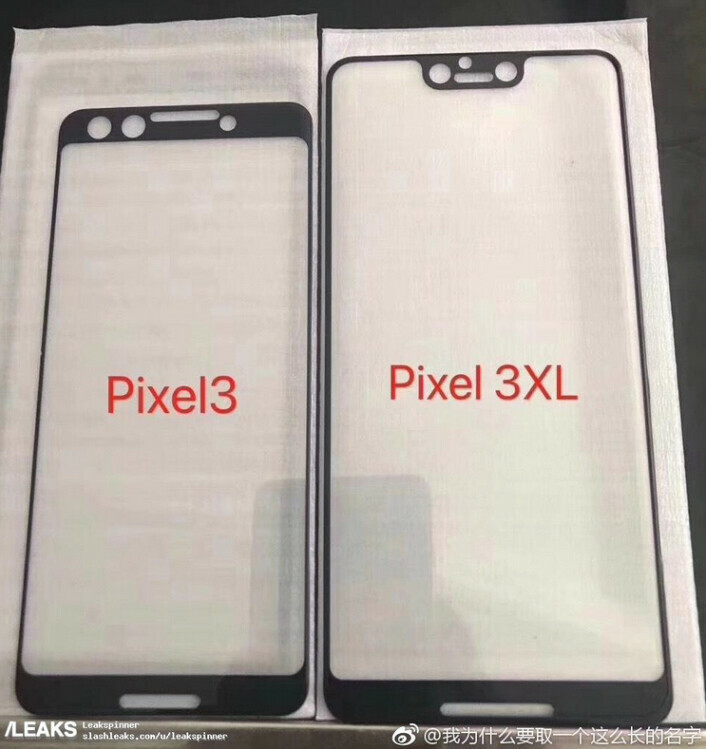 A recently leaked photo of what are reportedly screen protectors for the upcoming Google Pixel 3 and Google Pixel 3 XL reveals some interesting design changes in Google's upcoming flagship phones. 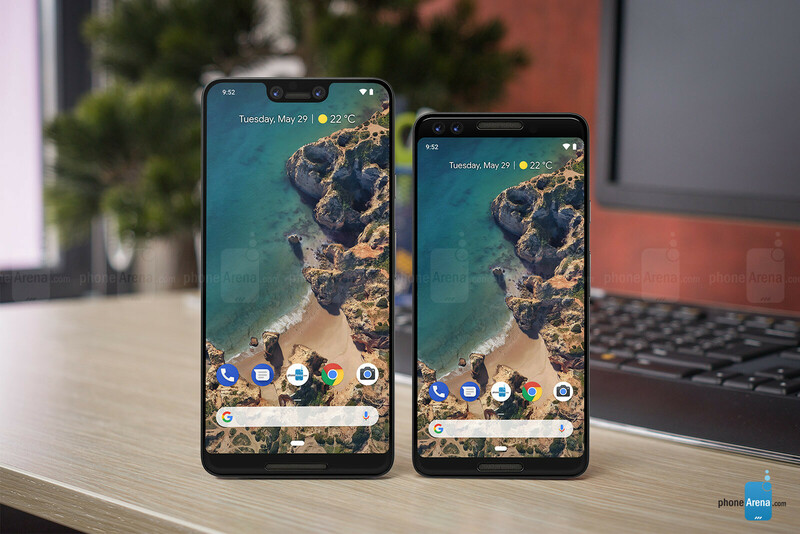 If the leak is to be believed, the Pixel 3 XL will feature a notch, while the smaller model will have proper top and bottom bezels, albeit slimmer ones than last year. Notches are a divisive topic in the smartphone world right now. The majority of people are riling against their implementation, but manufacturers seem to be of a different mind. And all said and done, a notch on the Pixel 3 XL would not be all that surprising. After all, Android P has had support for a variety of different shapes and sizes of notches since the first developer beta. It's a sign of the times, you know. Looking at the leaked photo, it seems like both the Pixel 3 XL and the Pixel 3 will retain one of the best features of their predecessors—front-firing stereo speakers—while also adding dual front-facing cameras, if the number of cutouts in the protectors is to be believed. This would be an interesting development, seeing as how Google has thus far shunned away from the dual camera trend that's taken a hold of the smartphone world. Still, we don't know anything about the main camera setups on the devices. Another thing of note is just how big the cutouts on the protectors seem to be. Both the apertures for what seem to be dual, front-facing cameras, and the openings for the speaker grills are huge. Much bigger than what we've seen from Pixel phones thus far. Of course, it goes without saying, that both devices will feature tall, 18:9 displays, though we don't know whether these would be LCD or OLED. The previous generations of Pixel phones have all had OLED displays, though last year's Pixel 2 XL had some issues with the LG-made panels that were used in the first batches. Speaking of that, there have been rumors that Google has again contracted LG to work on the Pixel 3s, though the Korean company dismissed the information as "pure speculation." However, since LG and Google have partnered on various occasions in the past, namely for the Nexus 4, Nexus 5, and Nexus 5X, it wouldn't be out of the question that the two may team up again, but it is too early to tell at this time. Furthermore, Google may have also contracted different companies to manufacture the smaller and XL models of the Pixel 3. Such was the case with the Pixel 2 family, with the compact model coming from HTC and the XL being made by LG. Keep in mind that the leaked photo was initially discovered on Chinese microblogging site Weibo, and though we've seen plenty of legitimate leaks surface there, we would still suggest that the image is taken with a grain of salt. The Pixel 3 and Pixel 3 XL could be another four to five months away from store shelves, but we may already be looking at the first wave of leaks. 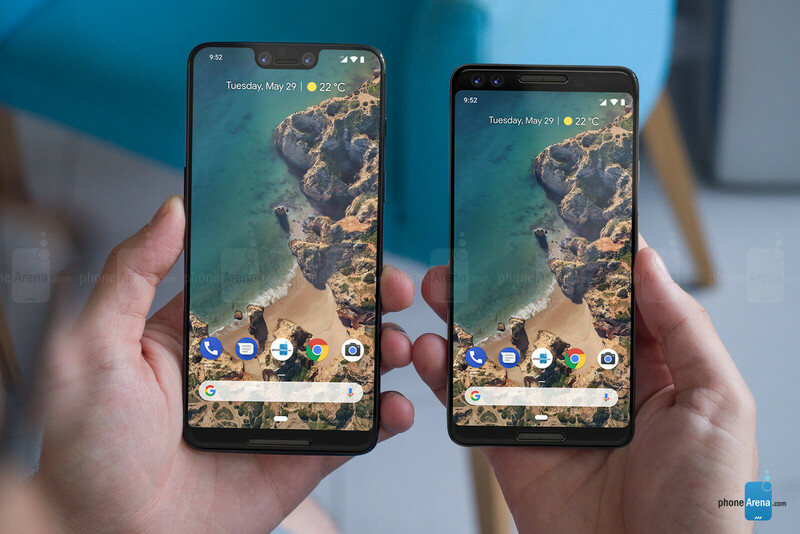 So, if the Pixel 3 and Pixel 3 XL looked like what we've recreated here based on recent leaks, would you buy either? Do you like the new design, or is the notch the bane of your existence? Tell us in the comments below! If you go with a notch, don't keep the godd*mn chin. That's like giving up halfway. just out of curiosity, whats wrong with notch design?! its a good place for some info like time, date, signal, etc...! The notch looks great in portrait mode while browsing etc. but for gaming and video and anything in landscape mode, it cuts off important info. Basically it becomes something you have to work around instead of just being immersed in the content you're exploring on your phone. It’s all how apps use the screen. If used right it’s added space not taken away. If you don’t have that then the bezel takes screen away. I agree, the way Apple deals with landscape is awful! But instead of thinking of the notch as cutting into your screen, think of it as your screen extending around the sensors. Space that can be used to display all the usual stuff at the top of your screen. Then in portrait it could be blacked out again as if it was bezel for media consumption. With an oled display it would be invisible, I'm not the biggest fan, but I accept them. Curved edges on the other hand, please get rid!!! I don't necessarily see anyhing wrong with a notch, but that chin is absolutely ridiculous! I would prefere a side-facing speaker and a display all the way to the bottom! Actually, if this leak is real, google already fail to implement the notch because of the bottom chin. And there is an article out there that discussing why apple notch design is still the best. Don't say that i try to convince you to love apple, but just compare the apple notch with others. I don't see any other way of adding dual front firing speaks without a chin.. Unless they went with one front and one bottom firing. Well, it seems that a notch and chin is typical Android style.. So far only apple got rid of the chin as far as I know. Well said, if they still own the design of Nexus 6 they can use it again just update the aspect ratio. It's way better than this notch. It's because they can't manufacture it with no chin. Its too expensive for them. Finally someone who gets it. There's a reason the iPhone 8 exists - because the iPhone X is too expensive for the masses. Anyone could make a phone right now with no chin, but they aren't doing it because it would add too much cost than value returned. Damned if you do, damned if you don't. I don't agree with you regarding the Pixel phones. Based on the picture, the bottom chin is small.. It has front facing speaker unlike other OEM's phones. Big notch, big chin. The best design hahah. Kidding. I don't know who is designer, but they should hire someone who know how to do it. For some reason I like the Pixel 3 XL. However, they should've done essential esque style speaker for the chin so they could somehow minimize the bottom bezel. Smaller one looks much better, no notch + better size is a win win situation. I hope they won't cripple the specs. Please let them both be amoled. agreed but not like the last time!!! GOOD AMOLED! Majority don't care about the notch plus if you can blackout the top that helps the others that don't like it. Don't like XL phones anyway prefer normal sized smaller pixel. Google keeps designing ugly phones. Even the pixel 3 looks like crap. Should have let Samsung or Huawei design it. i'll go with the XL if they make it sleek and powerful with good LED (not like the last one!) i don't mind the NOTCH!